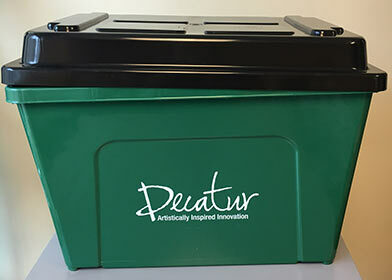 The philosophy of the Decatur-Adams County Parks and Recreation Department is to enhance leisure life styles and quality of life through program development, leisure services, beautification projects, educational services, and park maintenance. The Department supports all efforts towards quality leisure services and thrives on the challenges set forth to meet the interests and needs of all citizens. 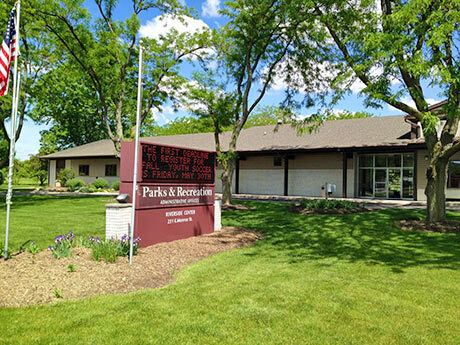 The City Parks Board meets the 2nd Monday of each month at 7:00 PM at Riverside Center. Located on Winchester Street in Decatur, across from Arnold's Lumber. American Legion Park is the Home of the Cannons. Modern playground equipment provides a safe area to climb and play, complete with swings and a merry-go-round. 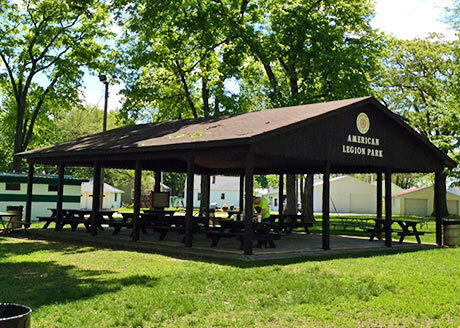 American Legion Park also has a covered picnic shelter and a sand volleyball court which are open regularly to the public. The picnic area, volleyball net, and flush toilets available for rental. 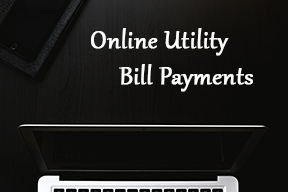 Call (260) 724-2520 for rental information. Bellmont Pond is located on U.S. Highway 224, adjacent to the Bellmont High School tennis courts and across from the North Adams Community Schools Administrative offices. Bellmont Pond is a nature area with wooded trails that circle the entire pond. The area is a beautiful place for a walk and citizens are welcome to fish in the pond. Eastbrook Park is located on Piqua Road by the middle school. There are 5 acres and a playground to explore. Homestead Park is located in the Homestead Housing addition. The Parks & Recreation Soccer League plays some of its games there on Saturday mornings. The park is centered in Homestead, and is comprised of a large open space, a climber, swings, a merry-go-round, a basketball court, and a tennis court. 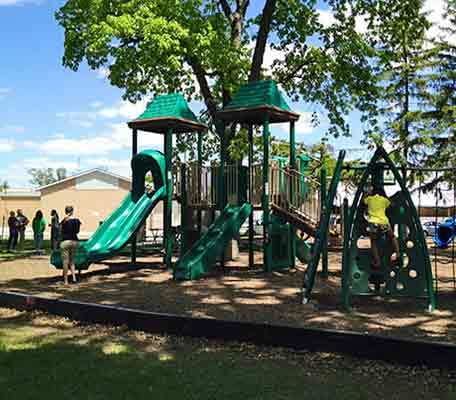 Kekionga Park is located off of Mercer on Locust Street. 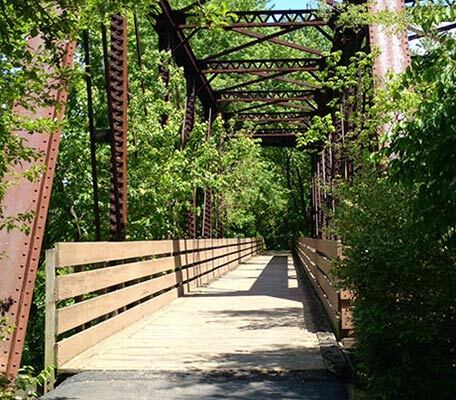 Kekionga Park encompasses 50 acres with canoe launches and extensive paved trails for hiking and biking. These trails are part of the Rivergreenway System in Decatur. 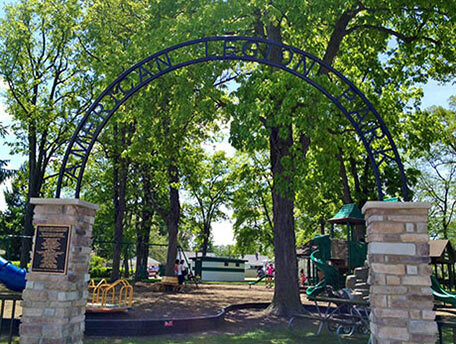 The playground at Kekionga contains swings, a merry-go-round, and mounds to explore. There is a picnic shelter, regularly open to the public, and flush toilets available for rental. A baseball and softball diamond is also available for public and rental use. Please call (260) 724-2520 to make the arrangements. Hanna Nuttman Park is located on Washington Street, just West of 13th Street. Hanna Nuttman Park is the last remnant of the original forest in the Decatur area. This land was given to the City in 1932 to be used for the enjoyment of all residents. In the park, there are seven ball diamonds that are primarily used by the youth and adult baseball and softball leagues; there is also a playground with a slide, swings, and merry-go-round. Beyond the ball diamonds, there are two cabins; one built by the Decatur Boy Scouts, and the other by the Decatur Girl Scouts. Both organizations are still active and continue to maintain those cabins as well as local Scout troops. As you follow the road beyond the cabins, there is a large field with more swings and another slide. Hiking trails wind through the woods, which begin in the vicinity of the Girl Scout Cabin and on Washington Street. The City's official Nature Trail begins on Washington street by the brown recreation sign. The trails are an excellent place to observe wildlife, such as the bats who live in the bat houses hung by Decatur residents. Northward Park is located on 5th Street, across from the Decatur City Pool. This park has basketball courts and a skate park. The Rivergreenway is a system of trails that wind through Decatur. They are clearly marked with the Rivergreenway signs and stretch from Kekionga to Riverside Center and beyond. These trails will take you for a leisure walk or bike ride alongside the St. Mary's River. There are even a few benches along the way to just sit and enjoy. Southward Park is located on Winchester Street south of Legion Park. It has a basketball court, a slide, a merry-go-round, and swings. The St. Marys Nature Preserve debuted in 2017, adding about 3/4 mile to the existing Rivergreenway Trail system. The highlight of the new section of the greenway is a pier that overlooks the pond. The pier is great for taking a break or fishing, and is ADA accessible. A handful of benches are situated throughout the new trail, as well as informational signage to learn about the animals and plants that are native to our area. This project was made possible in part by a grant from the Department of Natural Resources Land and Water Conservation Fund. Waterworks Park is located on 5th Street. The Decatur Swimming Pool is the big draw here. There is a zero depth to deep swimming pool, excellent for handicapped or disabled pool goers, and has two drop slides and diving boards. Concessions are also available. Worthman Field is located at the corner of US 27 and Adams Street on the southwest side of the city. The park includes a playground, a baseball diamond, a track (one lap equals a quarter mile) and two soccer fields.